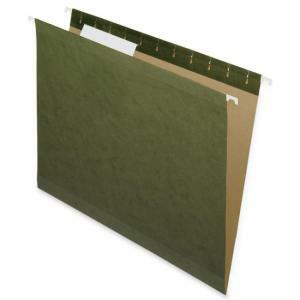 Standard green hanging file folders offer superior durability with polylaminate reinforcement. Include 1/3 cut tabs and inserts. Made with 100 percent post-consumer material.